Triathlon England and Welsh Triathlon have announced a new relationship with Wattbike, the indoor cycle trainer, bringing benefits to members of each Home Nation and triathlon coaches at all levels of the sport. 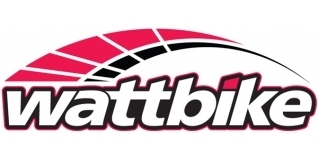 Wattbike will become a membership benefit provider to Triathlon England and Welsh Triathlon, with members receiving a 10% discount on the purchase of a Wattbike, whilst coaches will have the opportunity to enhance their technical knowledge and skills via Wattbike-led triathlon-specific workshops. Ian Wilson, Managing Director for Wattbike, said: “This relationship with Triathlon England and Welsh Triathlon is a fantastic opportunity for Wattbike to work more closely with both members and coaches of this great sport. Wattbike is the indoor trainer of choice for both elite and amateur triathletes, enabling any rider to perform high quality training sessions and providing an unrivalled level of accurate performance feedback whilst feeling like riding a real bike.